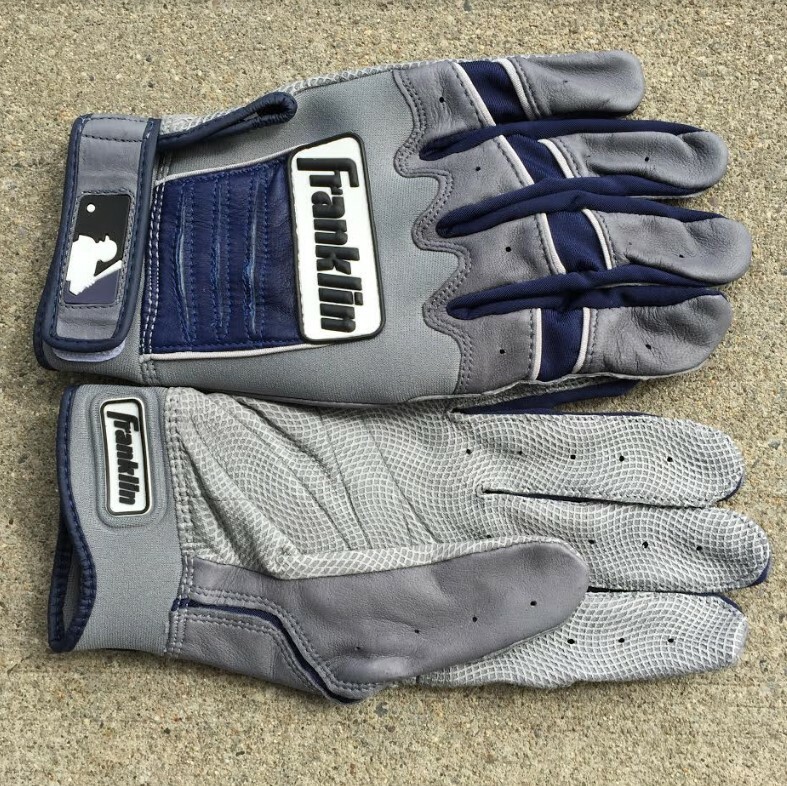 Sanchez wears the MLB standard Franklin CFX Pro. 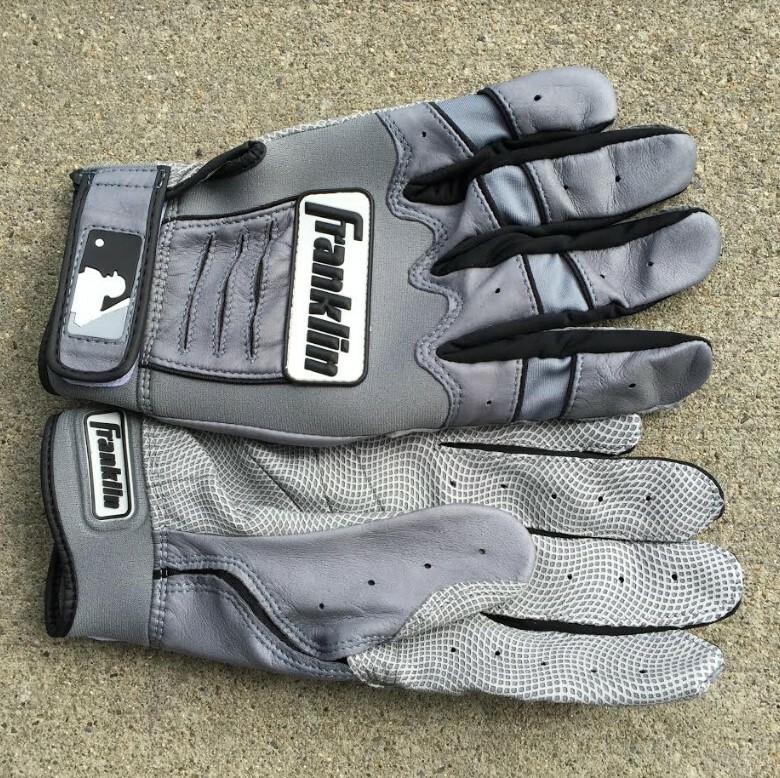 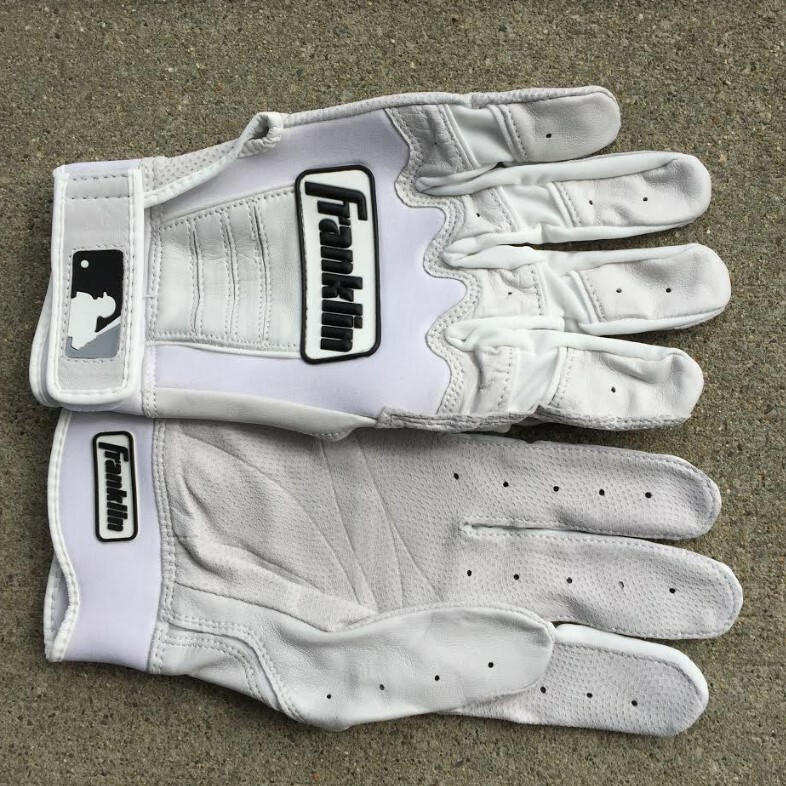 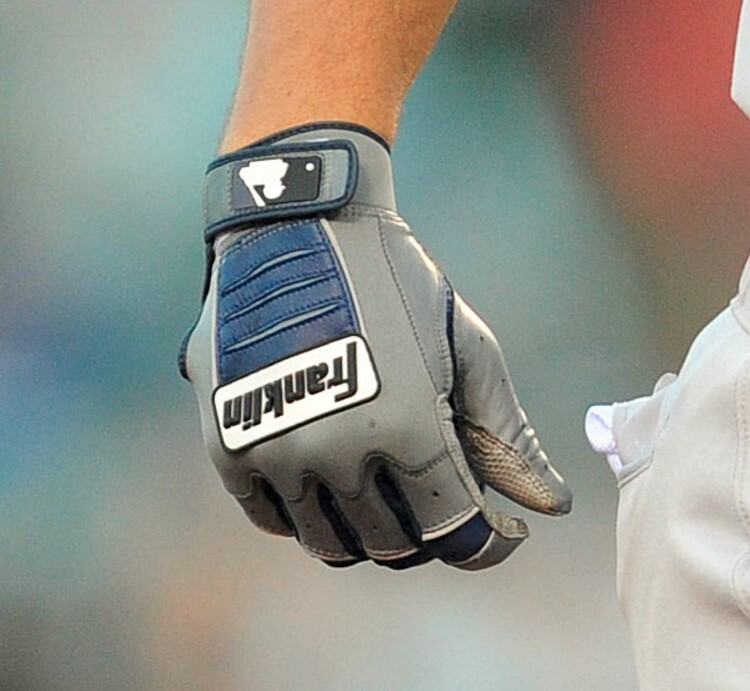 These might be the most popular batting gloves in the game. 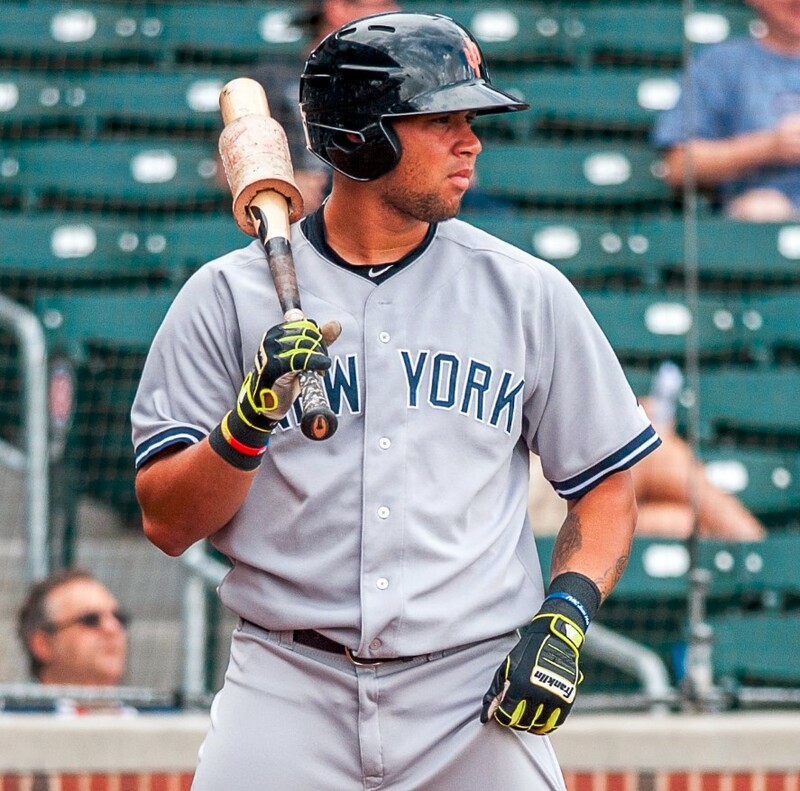 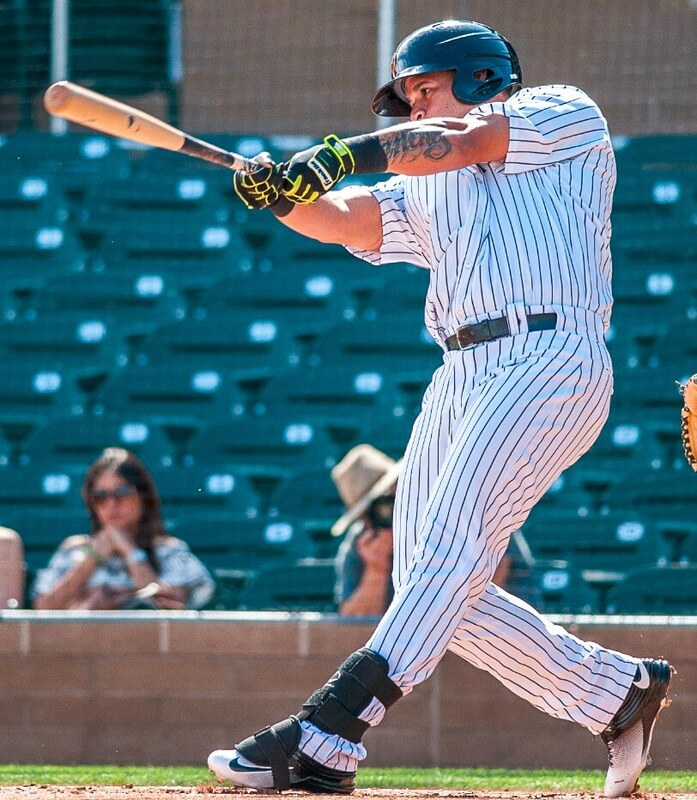 We saw Sanchez in the AZ Fall League wearing the Papi black/volt versions, but now that he’s on the Yanks he wears some combinations of white/navy/grey.